Remove outer packaging. Leave the skin with clips intact. Wrap haggis in foil. Place in an oven proof dish with water. Check water level from time to time during cooking. Cook in a pre-heated oven for 75 minutes (190°C / Gas mark 5). Remove outer packaging. Leave the skin with clips intact.Wrap hagggis in foil. 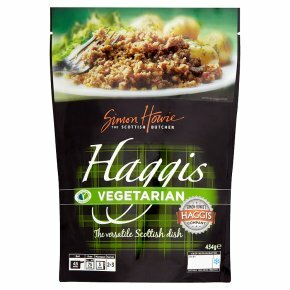 Bring to boil and Gently simmer haggis for 45 minutes.